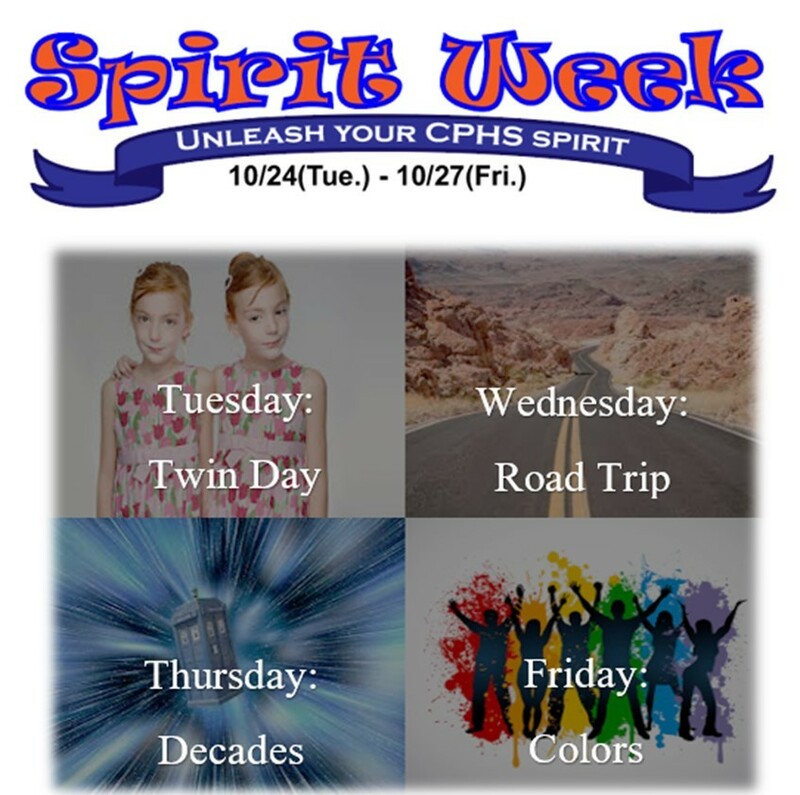 Unleash your CPHS Spirit this spirit week! Double the giggles, double the grins, and double the trouble because Tuesday is Twins Day. Wednesday, let’s go on a Road Trip: Freshmen in the winter, sophomores to Hawaii, and juniors from the Western, and seniors with the Hippies. Then Thursday we will travel through the decades! It’s up to you which decade you want to travel to. The 50’s, 60’s, 70’s, 80’s, even the decades in the future! Last but not least, end the week with flying colors. Freshmen in orange, sophomores in blue, juniors in white, and seniors in black.